This was originally intended to be an illustration for a card game, which unfortunately never came to fruition. I researched Japanese folktales of shapeshifting kitsune when I was working on this. 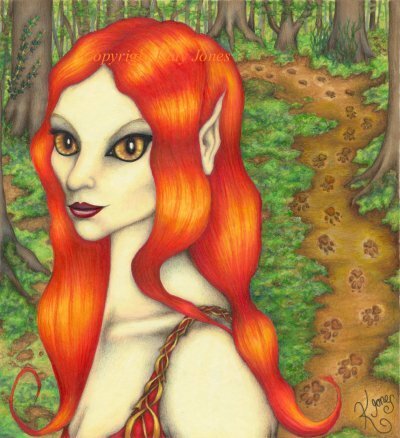 My ‘Fox Spirit’ is a sort of Celtic kitsune.